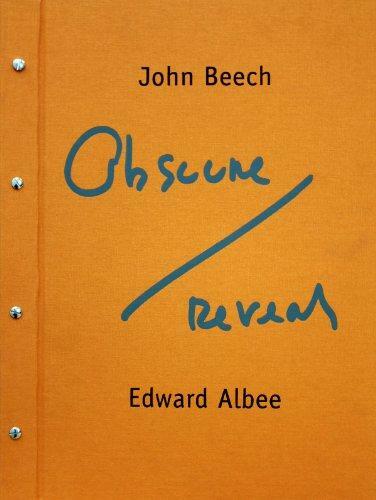 Né en 1964 à Winchester, John Beech est un artiste britannique basé aux Etats-Unis. 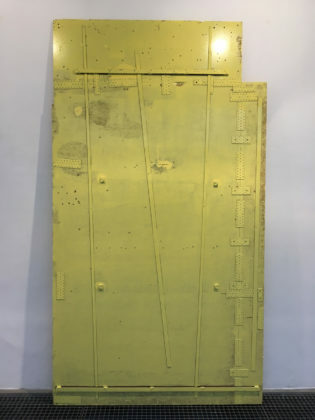 Il a récemment exposé à la galerie M&R Fricke de Berlin, à la Haus der Kunst St Josef de Solothurn (Suisse) et au Concept Space de Shibukawa (Japon) en 2014, au Frieze New York en 2015 et à la galerie Anglim Gilbert de San Francisco (Etats-Unis) en 2016. Utilisant des matériaux les plus simples, d’un tapis de voiture à du simple contre-plaqué, John Beech crée des objets qui sont à la fois bruts et élégants, sophistiqués et radicaux, extrêmement sérieux et subtilement drôles. Son travail est à cheval entre la peinture et la sculpture. 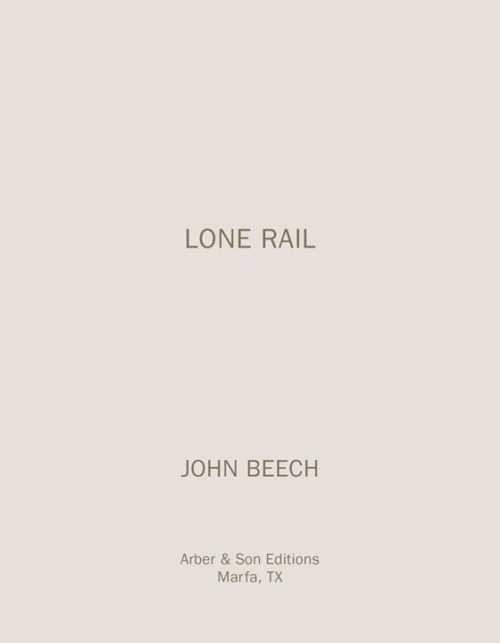 Beech s’intéresse à la « qualité objective des choses » et ainsi à laisser la forme et les matériaux s’exprimer comme il le dit lui-même : « Je m’intéresse à la fusion du vocabulaire visuel de l’utile et de l’art abstrait ». Les objets ordinaires comme des bennes et des quais de métro le fascinent et sont la base d’un travail plastique nuancé. Il reconnaît volontiers l’influence des maîtres comme Donald Judd mais voit sa propre esthétique comme se référant à la rue et comme étant plus engagée, en opposition à la position raffinée et détachée de beaucoup de réductionnistes. 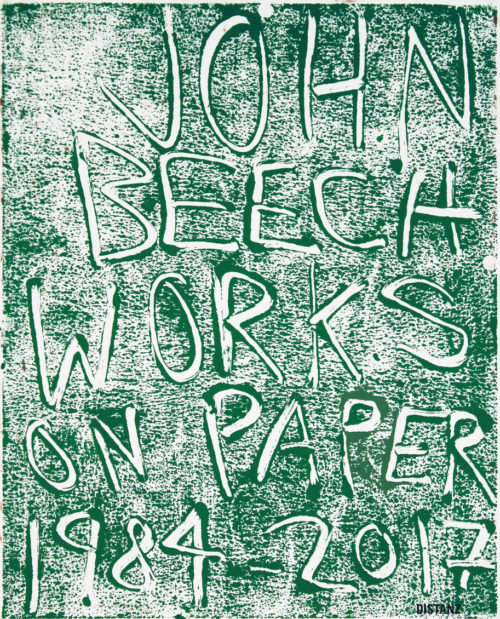 In this overview of works on paper John Beech (born 1964, Great Britain, lives and works in New York) offers the viewer a thorough examination of a rich and varied body of drawings and monotype prints. 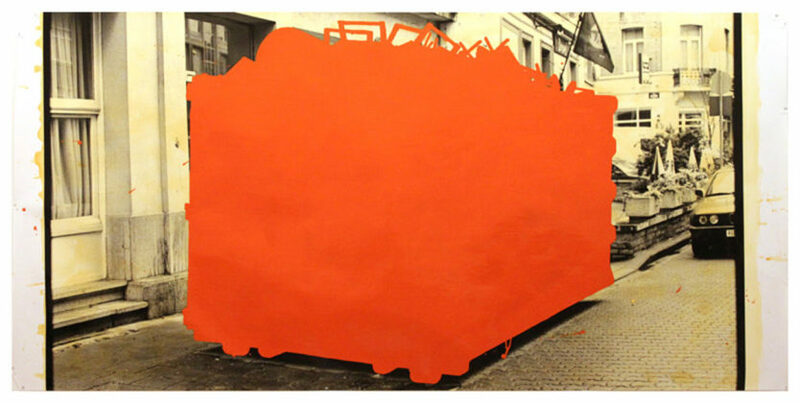 Most of these works have previously never been seen outside the artist’s studio. 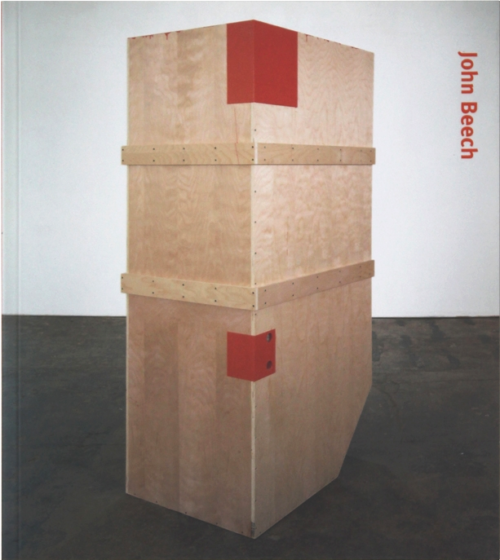 Beech is known for his sculpture that merges everyday building materials with an off-kilter minimalist tendency. 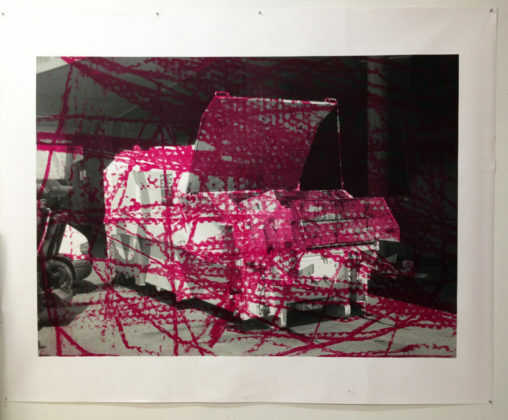 Concurrently he has focused on drawing and printing, on a range of two-dimensional materials, from basic white drawing paper to photographs and found packaging card. 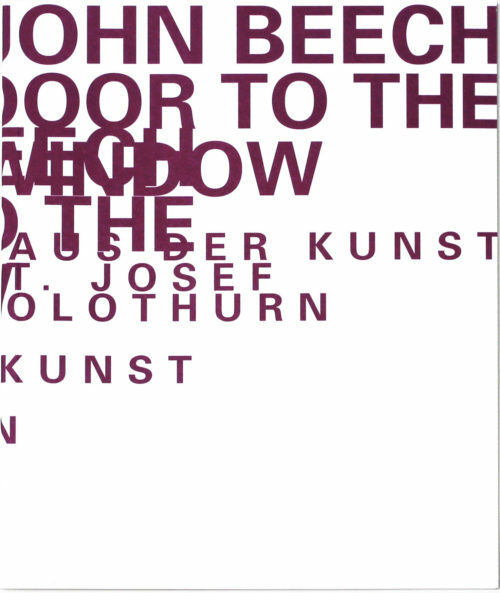 The results from an over thirty-year time period are presented in this book. 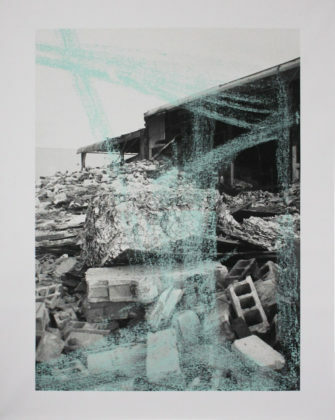 They demonstrate an investigation of the materials and methods of drawing, often highlighting marks and forms that remain abstract while retaining clear individual specificity. These are works of art that are largely uncovered during their own making, not based on preconceived notions of intent. 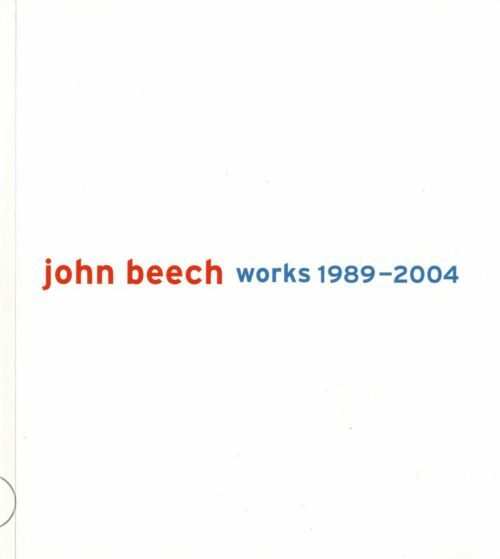 The British artist John Beech (b. Winchester, UK, 1964; lives and works in New York) transforms the stuff of ordinary life into aesthetic objects. 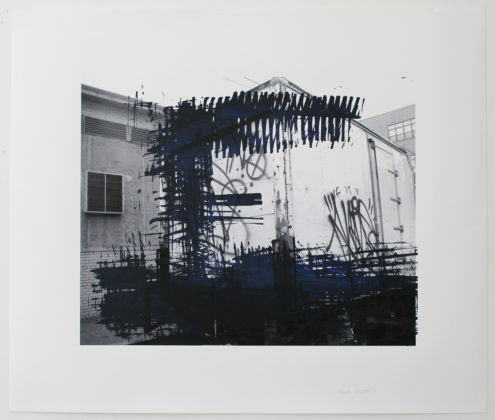 His approach, which he has described as « everyday reductionist, » is recognizably inspired by minimal art, with reminiscences of Donald Judd, Robert Rauschenberg, and others. 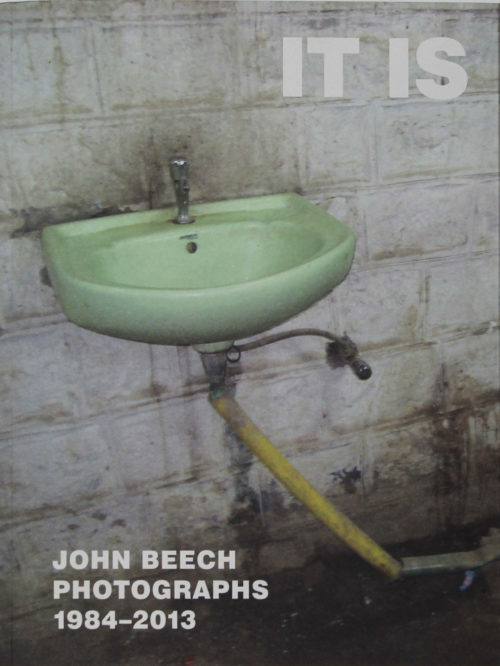 The British artist John Beech (b. Winchester, UK, 1964; lives and works in New York) transforms the stuff of ordinary life into aesthetic objects. 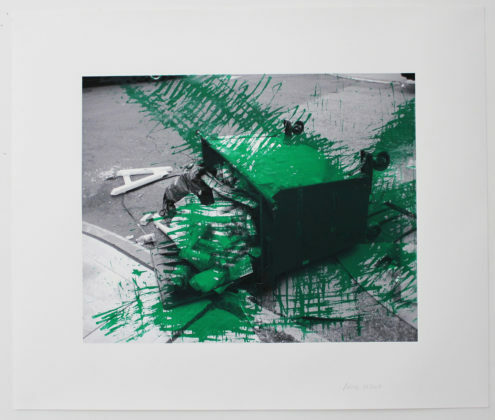 His approach, which he has described as « everyday reductionist, » is recognizably inspired by minimal art, with reminiscences of Donald Judd, Robert Rauschenberg, and others. 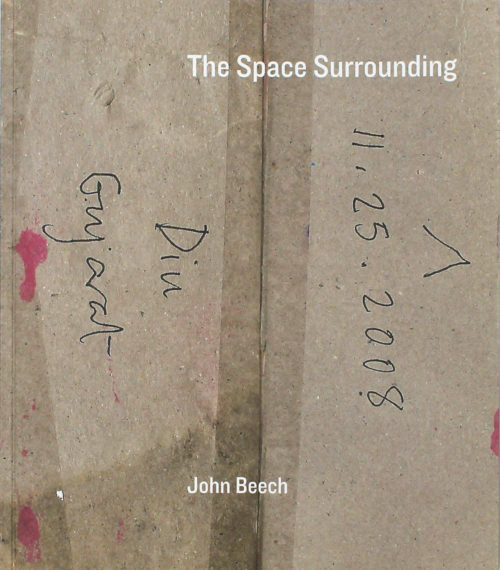 Beech combines found or recycled materials in simple geometric shapes to make unusual aesthetic objects. Working with building supplies, insulation materials, and other mundane staples, he creates strikingly inventive art that occupies the intersection between painting and sculpture. With a great sense of humor and a keen eye for irony, the artist toys with the beholder’s visual habits and throws curious details into sharp relief. 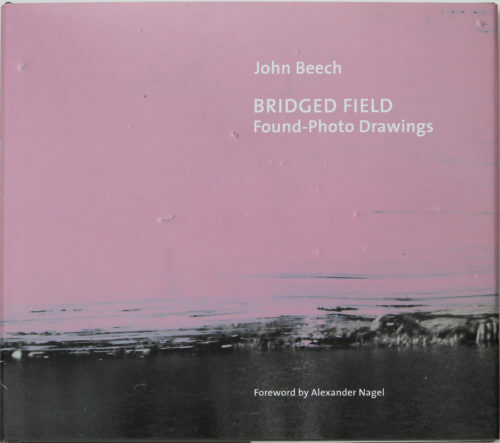 The book presents John Beech’s most recent works and offers an overview of his sculptures, paintings, drawings, and photographs from the past twenty-five years. 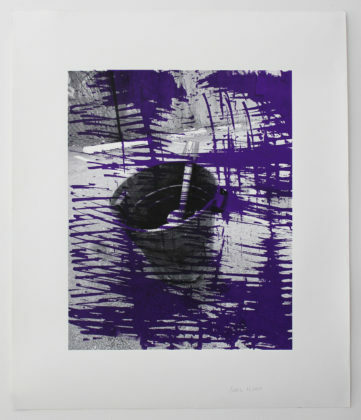 A portfolio of 13 lithographic prints and 6 individual lithographic prints. 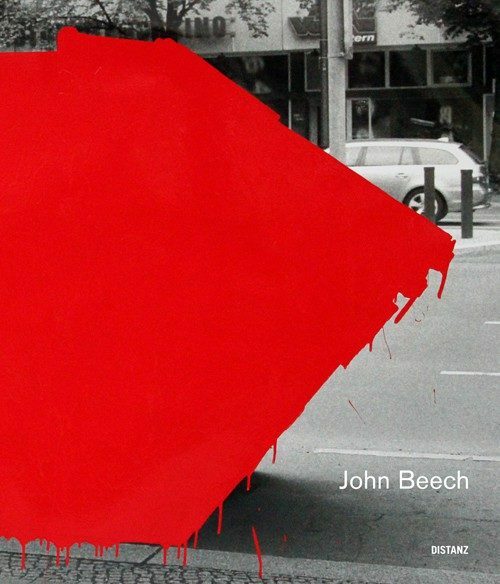 Artist John Beech is known for his innovative transformations of the seemingly mundane into startling works of originality. 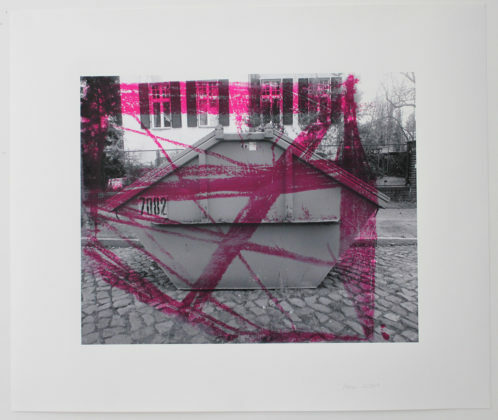 Proficient in several different mediums, in Bridged Field: Found-Photo Drawings he focuses on self-manipulated photographs. 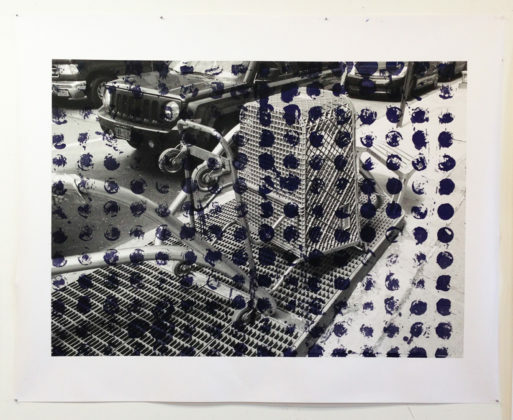 Since 2007 he has collected over 600 found photographs and applied his singular touch to each, letting the patterns and textures within the photograph become the grounds upon which he creates entirely new works of mysterious beauty. Presented here are 92 such pieces. 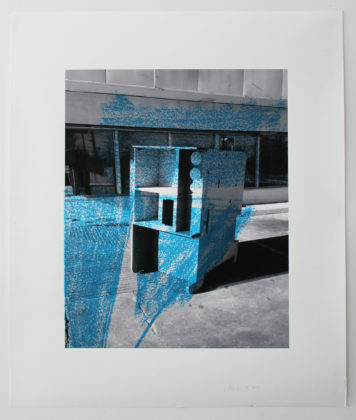 Notable for their range of materials (oil enamel, vinyl paint, ink, pencil, and marker pen), the drawings display a diversity of methods to apply marks directly onto the surface of the prints, in some cases predominantly covering the photographic information, in others emphasizing and punctuating visible elements in the photograph. 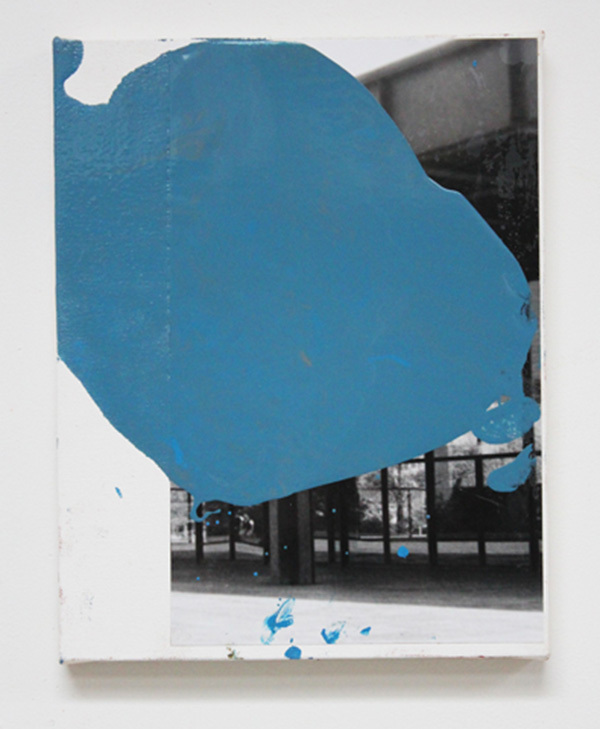 Deliberate paint passages often exist alongside accidental marks or gestures and incidental imagery may come to the forefront when the primary subject of the photograph has been obscured. 160 color and black-and-white photographs. 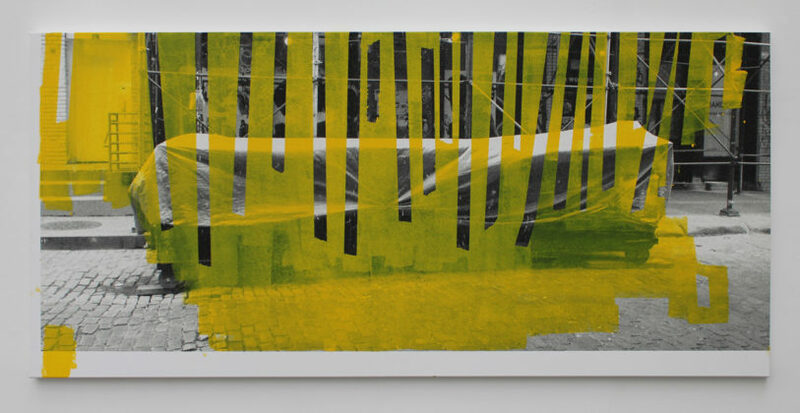 31 collages and 17 black-and-white photographs (all works made while traveling in India). An overview of recent sculpture and drawing.